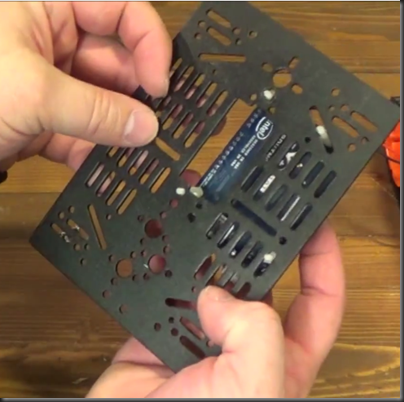 The video tutorial is broken into two videos, first hardware, mounting, powering the electronics. 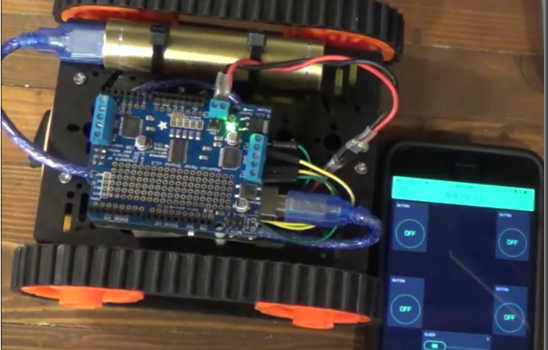 The second video covers creating the phone app and Arduino code. Tank Chassis or whatever platform you like. Assemble the tank chassis, the instruction picture included is adequate, leave the top plate off of the chassis. 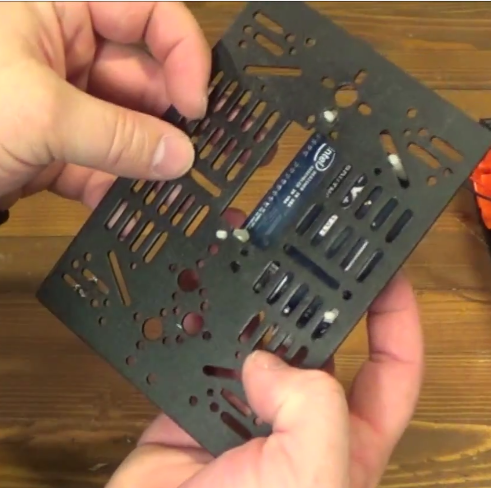 Mount the Arduino to the top plate using standoffs. I prefer M2.5 nylon standoffs. 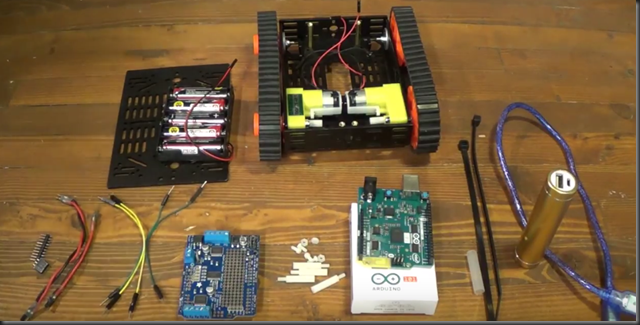 Use jumper wires to connect the motors to M1 and M2 headers on the Arduino Motor Shield. Install Polarized connector between the Motor Shield and the 5 AA battery pack. 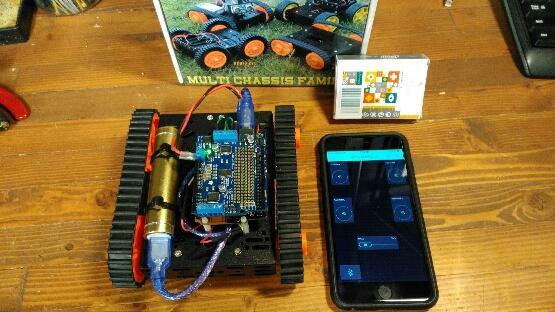 LEAVE THE MOTOR SHIELD JUMPER REMOVED TO ISOLATE MOTOR POWER FROM ARDUINO POWER! Remove the top plate and instert some Ziptyes to hold the USB battery connector. Drag four buttons, a slider, and the BLE widget to your new app. The buttons are configured as momentary push buttons, they send a one while pressed and a 0 when released: Left Forward = V1, Right Forward = V2, Left Backward = V3 Right Backward = V4. 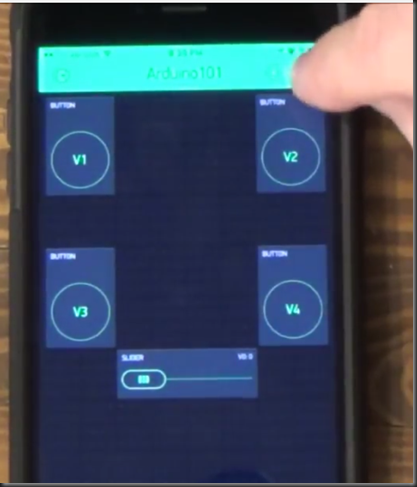 From the Blynk app configuration click the button to email the authentication token to yourself, we will use this in the Arduino App. 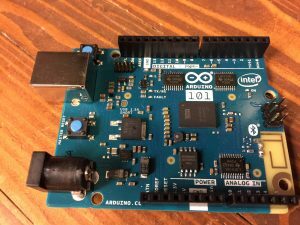 Open the sketch using the Arduino IDE. As of writing this post your IDE version should be somewhere between 1.6.7 and 1.6.13, older versions might not support Currie boards and 1.8.0 might not compile the code (experienced by several people at our last workshop) . 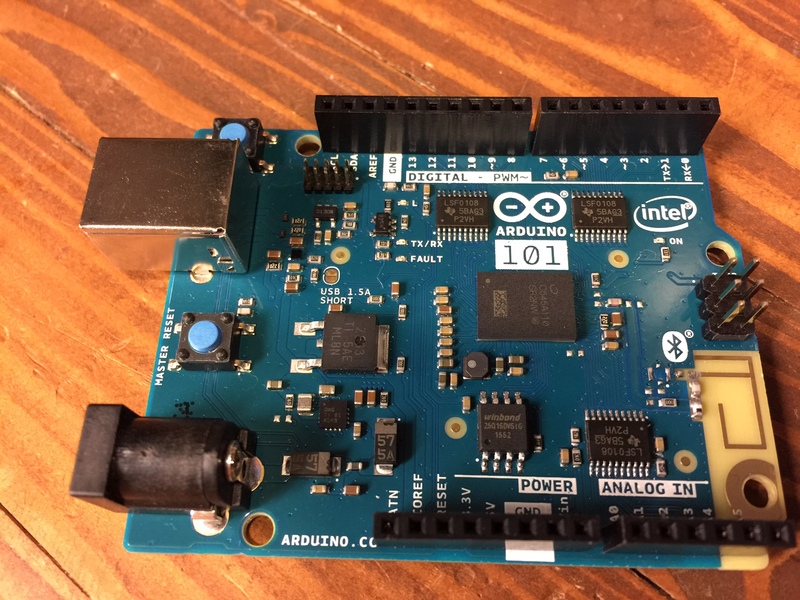 Open Tools –> Board –> Board Manager and search for “Arduino 101”, and make sure the board is installed, you can also upgrade to the latest version. Open Sketch –> Include Library –> Manage Libraries and search for “Adafruit Motor”, install the Adafruit Motor Shield V2 Library. Also search for and install the Blynk Library. Replace the auth Tolken with the one you emailed to yourself from the Blynk app created above. If you have multiple Arduino 101 boards rename the blePeripheral.setLocalName and blePeripheral.setDeviceName variables so the names will be unique. Here are a couple other arduino 101 chassis projects that I stole some inspiration from.